Tag Archives for " Itamar Gero "
Whether you are a B2B or a B2C organization, one thing you already know is that you need to provide quality customer service in order to be successful. Chances are, your mission statement or company vision includes something about customer service. You may even have customer service-related quotes around the office. But how often, if ever, do you take a step back and evaluate whether or not you are actually providing good customer service? I’m not talking about damage control when you receive a customer complaint. I’m not even talking about a root cause analysis for that same complaint. I’m talking about a soul searching, top-to-bottom, resource-demanding review of how customer service is defined by your organization and whether or not you are actually accomplishing it. If you’re interested in that sort of self-evaluation, and you should be, here are five important questions to help determine if you’re doing customer service right. 1. What is good customer service for my organization? Companies that provide quality customer service do so by establishing trust with their customers, communicating sufficiently and timely while also listening, and delivering high-quality service or products. However, I would encourage you, when determining if your company provides good customer service, to consider what should be an obvious metric: how often you generate business from referrals. If referrals don’t make up a significant portion of your business, find out why. Successful customer service creates life-long customers who share their wonderful experiences with others. 2. Is your organization listening? One thing is for sure. Whether you are listening or not, your customers are talking. And I don’t mean with their wallets though that is certainly one way they might be talking, or not talking as the case may be. They’re also talking through social media, online reviews and to their family and friends. 3. No, really. Are you listening? Listening requires participation. If you’re not actively communicating with your clients, you’re not listening. A recent post on Duct Tape Marketing discussed the 5 levels of listening with the top level being empathic listening. While you might not be engaged in a verbal conversation with your clients, though I recommend it as often as possible, you should still approach any feedback that comes from your clients with the same empathy that you would hopefully show in a conversation. As an extension of this, if you’re really listening to your customers, what are you doing with the information? A typical business hears from 4% of its dissatisfied customers. That’s a small sample of the actual number of dissatisfied customers. Therefore, it’s critical that not only do you pay attention to what they are saying but that you make business decisions intended to remedy the problem. I’m talking real solutions; not band aids. 4. Does your customer service scale? As small business owners and marketers, we have the upper hand when it comes to customer service. Our small size allows us to personally interact with our customers. Even if your business is large enough to have someone that handles your customers, they likely do so directly instead of through a customer service-killing IVR or via an unmonitored inbox. Definitely, capitalize on your small size and be as customer-friendly as possible. However, I’m betting that you don’t see yourself as a small business owner forever. Your short term plan and long term plans include growth. So how do you scale your customer service for growth? Don’t forget what made you successful in the first place. Adopt a big business philosophy in all aspects of your business with the exception of customer service. Maintain your current small business approach to customer service and if you’re doing it correctly now, you will do it correctly in the future. Then, align departmental goals around the philosophy and hold them responsible for it. 5. Are your competitors providing superior customer service? Oftentimes, customer service can be what differentiates you from your competitors and that’s not a good thing if you’re providing poor customer service. Play it safe and assume that they are doing a great job of providing customer service and you need to increase your effort. Did you know that your customers are likely willing to pay more for quality customer service? I’m not suggesting that you charge more; I’m recommending that you pay attention to the importance your customer’s place on being treated right. It should go without saying that you don’t provide first-rate customer service because you want to be better than your competitor. You do it because it’s embedded into who your company is at all levels of the organization. If that’s not who your company is then that’s a good place to start making changes. Itamar Gero is the founder and CEO of SEOReseller.com, a white-label digital marketing solutions provider that empowers agencies—and their local business clientele—all over the world. When he isn’t working, he’s traveling the world, meditating, or dreaming (in code). 2016 was certainly an eventful year for Social Media Advertising and Digital Marketing. As we enter the final quarter of 2016, let’s take a step back and see the biggest changes Facebook made this year, and try to look at what direction SMBs should take for the months to come. How does Facebook increase its advertising revenue without stuffing a user’s News Feed with ads? Simple: by providing the same ad targeting capabilities outside of the social media network itself. This is precisely what Facebook Audience Network does. Last year, advertisers only had the option to deliver ads on other mobile apps. While this proved to be very effective for other developers who wanted to drive more app installs, it wasn’t as effective for other businesses that had different goals. But 2016 marks the year Facebook expanded the reach of Audience Network to the mobile web and even non-Facebook users. This is likely to entice other kinds of businesses to test it out for other campaigns. 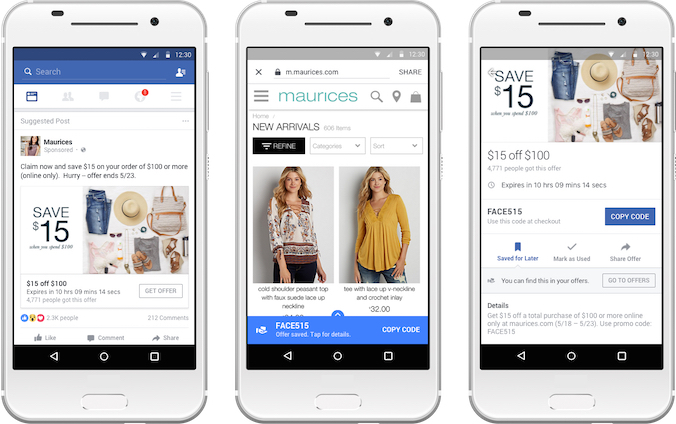 Add to this the introduction of new formats and features made specifically for mobile (Canvas, the local awareness ads store locator, and the Facebook Offers revamp), and it’s shaping up to be a real challenger to Google AdSense’s dominance. You knew it was coming. 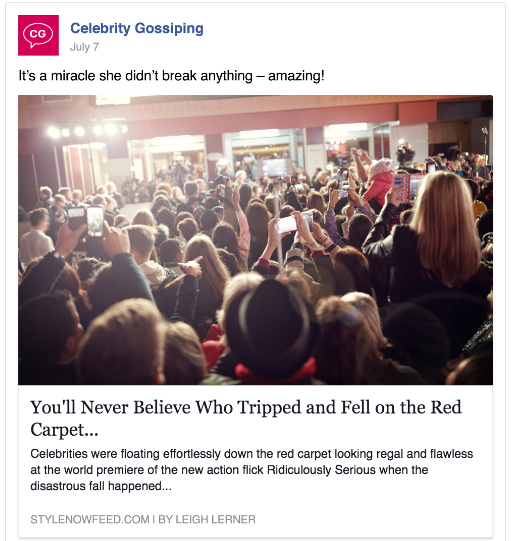 Facebook is finally penalizing clickbait articles with several consecutive News Feed algorithm updates. The first algorithm change made “time on page” a ranking factor by guessing how long a user spends reading an article when deciding which posts to put on their feed, while also limiting the number of consecutive posts from the same source. In a seemingly unrelated update months later, Facebook also announced it would tweak the News Feed to put posts from friends and family higher. This was soon followed by another update that penalizes websites and Pages using clickbait headlines (which Facebook defines as ones that “withhold information and create misleading expectations”). This system works much in the same way e-mail spam filters do: by looking at the phrases commonly used on clickbait headlines, and penalizing stories that contain those phrases. Pages and web domains that consistently post these stories will also show lower on the News Feed, but will no longer be penalized once they stop doing so. The days of free Facebook traffic and guaranteed reach are long gone, and the recent updates to the News Feed are just a continuation of this trend. Although it does seem that Facebook is making businesses pay to play, there are still ways that SMBs can get their content seen by their respective audiences without having to rely solely on boosted posts. As Facebook Engineering Director Lars Backstrom said in one News Feed update announcement, “[I]f a lot of your referral traffic is the result of people sharing your content and their friends liking and commenting on it, there will be less of an impact than if the majority of your traffic comes directly through Page posts.” Finding out what resonates with your audience, while also avoiding getting penalized, will be a little trickier now, sure. But remember, there’s no shortcut to high-quality engaging content, and these updates are really pushing SMBs to up their game. Many SMBs may have been surprised by the sudden change to their Facebook Pages, but Social Media Marketers have anticipated the new layout since Facebook began testing it months ago. The new Facebook Page Design has an ad-free layout, more prominent navigation and call-to-action buttons, and a larger cover photo that gives a similar effect to a website banner image. Overall, the new Page looks cleaner and more intuitive, giving brands more options to create the desired experience on the Facebook platform. 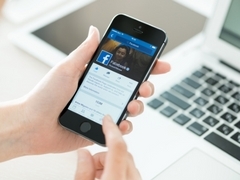 The new Facebook Page Layout helps SMBs encourage more interaction from their audiences. By putting the Call-To-Action button in a more prominent location, it allows brands to increase their conversion rate and turn followers into customers. SMBs should think carefully about what kind of interaction they want to encourage (whether it’s liking the page, visiting the website, getting sign-ups or store visits) and design their Facebook Pages around this.